The Arusha Urban Water Supply and Sanitation Authority (AUWSA) is a legally established entity responsible for the overall operations and management of water supply and sanitation services in Arusha City. 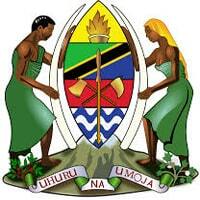 It is among of the best Authorities in Tanzania. The core function of the Authority is to deliver excellent water supply and sanitation services for all categories of customers and stakeholders in Arusha City. In order to attain its vision and mission, AUWSA is seeking to recruit dynamic, experienced, competent and qualified Tanzanians to fill the vacant post within the Authority’s establishment. Appointing Authority: Board of Directors. Holder of Master’s Degree in Law with bias in Commercial Institution. Advocate of the High Court and Subordinate Courts. Holder of a Certificate of Secondary Education /Advanced Certificate of Secondary Education from National Examination Council of Tanzania (NECTA). Should have at least eight (8) years of relevant work experience out of which at least two (2) years should be in a senior position. To advise the Managing Director on all legal issues. To liaise with other National and International Institutions on all matters pertaining to law, contracts, insurance and security matters affecting AUWSA. To supervise drafting of prescribed legal documents and forms of the Authority. To conduct performance appraisal to all staff under the Unit. The above vacancy carry an attractive competitive salary and remuneration package in accordance with the qualifications, required skills and experience stated in specific vacant post and AUWSA’s Scheme of Service and Salary Structure. All applicants must be citizens of Tanzania and not more than 45 years of age. Interested and qualified candidates are invited to apply by sending their application letters attached with certified copies of relevant certificates, testimonials and detailed Curriculum Vitae (CV). The CV must incorporate all contact: telephone numbers, mobile, postal address, e-mail and physical address. Only Certificate of Secondary Education (CSSE) and Advanced Certificate of Secondary Education (ACSE) from National Examination Council of Tanzania (NECTA) are accepted, result slips are strictly not accepted. Certificates from foreign examination Bodies, Colleges or Universities should be verified by NECTA, NACTE or TCU. Only short-listed candidates (who meet requirements) will be contacted for interview. Applicants who will submit fraudulent documents will be subjected to criminal proceedings. High integrity and ability to adapt to changes quickly. Capacity to work hard, under pressure and meet strict deadlines. Ability to work under teamwork spirit, establish and maintain effective working relations with different people and stakeholders. Applications should be addressed to the undersigned so as to reach him/her not later than 30th January, 2019 at 16:30 HRS. AUWSA is an equal opportunity employer women with the required qualification and experience are highly encouraged to apply.